Nice pose, Suzaku! Me love it! Definitely going on my vector list ^^ Thanks for sharing. 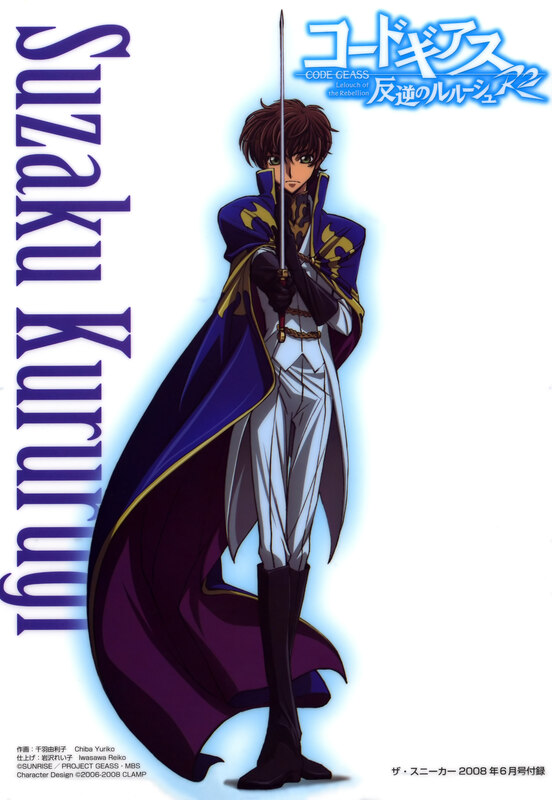 Suzaku is like a perfect knight prince! His flawlessness is irresistible! His innocent child face steals my heart! nice ! i love this scan ! thx for uploading ! oh my! and more oh my! another excellent pic of suzaku, he is so... heroic could be?! Fight Lelouch! Fight for a better world! Thanks for posting! Been looking everywhere for this! This is a great series of scans! Thank you!